Presto® 23-Qt. Pressure Canner Note: picture shows the standard 15psi regulator but the our custom option replaces this regulator with the superior 3 piece regulator. 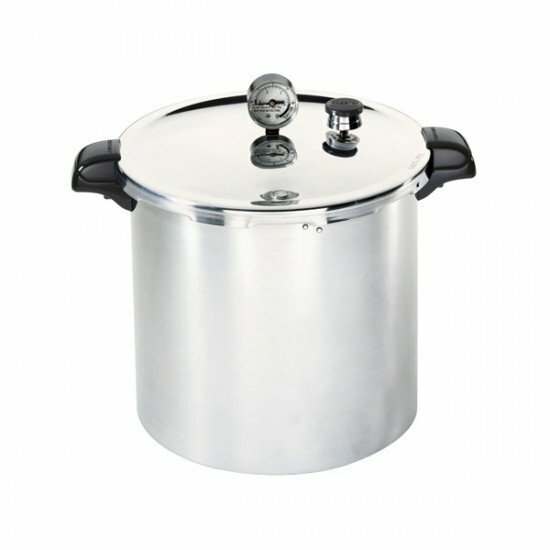 Imported directly from the Presto factory and custom made for our company we proudly present the Presto Pressure Canner & Cooker. In the USA bottling is called canning and this unit is a common household item there. It can be used to bottle fruit on the stove top and is considered to be the only safe way to bottle non-acidic foods such as vegetables as well as meat fish soups and sauces. A must-have for canning vegetables, meats, and fish. The easy-to-read gauge automatically registers a complete range of processing pressures. Three piece regulator allows you to process at 5psi / 10psi and 15psi. Note that at sea level, normal pressure cooking is done at 15psi but canning/bottling is done at 10psi. This Presto Pressure Canner also doubles as water bath canners for preserving fruits, jams, jellies, pickles and salsas. Constructed of extra-strong, warp-resistant aluminium and suitable for use on regular and smooth-top ranges. Includes cooking/canning rack and complete instruction and recipe book. Mason Jar Capacity: 24 Half-Pints, 20 Pints, 7 Quarts. Can be used with other tempered preserving jars but we do not recommend recycled supermarket jars (refer our FAQs for more info) 12-year limited warranty. These cannot be used on induction cooktops and are not recommended for flat/glass stovetops. In the case of the latter, the main reason for the restriction is that a full pressure canner with bottles and produce is very heavy and can cause the cooktop to crack. You may check the weight rating of your cooktop with the manufacturer to satisfy yourself that it can withstand heavy weights. Otherwise, it is recommended that you use a small single gas burner(see notes below regarding gas burners) Shipping is STANDARD shipping only. 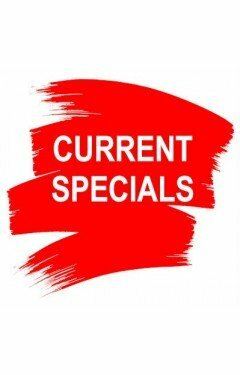 If you require fast, express/priority shipping please contact us for a freight quote. This Australian made Heavy Duty Stainless Steel Electric Preserving Unit allows you to preserve food with the ease and convenience of an Automatic the.. Known around the world as the food preserver's bible, the Ball Blue Book Guide to Preserving is the ultimate guide to fresh preserving. Each edition ..
Presto pressure canner gaugeThe Presto pressure canner steam gauge registers pressure readings during canning and cooking. Simple to install!&..
Presto pressure canner replacement handlesDropped or broke the handles on your Presto canner? Not a problem. These parts are for the s.. The sealing ring fits around the inside rim of the cover and forms a pressure-tight seal between the cover and the body of the pressure canner during ..